The conference will be held from 22 to 24 March in Bilbao. After Metromeet 2016 laid the foundations for what will be a long and imminent tour to metrology 4.0, the prospects for its 13th edition hasn’t left anyone indifferent. “Once again we have managed to increase the exhibitions offer and program with new top level participants as well increasing the number of visitors, a fact which makes us optimistic and encourages us to start work on the next edition of Metromeet”, says Jesús de la Maza, president of Innovalia Group, the conference organizer. Bilbao witnessed a great reception of this year’s event and will immediately start preparation for the next event by inviting all professionals linked to industrial dimensional metrology to share their knowledge and experiences in the meeting that is to be held on 22, 23 and 24 March 2017. The call for papers has already been opened and will end next September 9. Submitting a paper provides an excellent opportunity to establish direct contact with directors and senior executives of companies in the metrological sector. 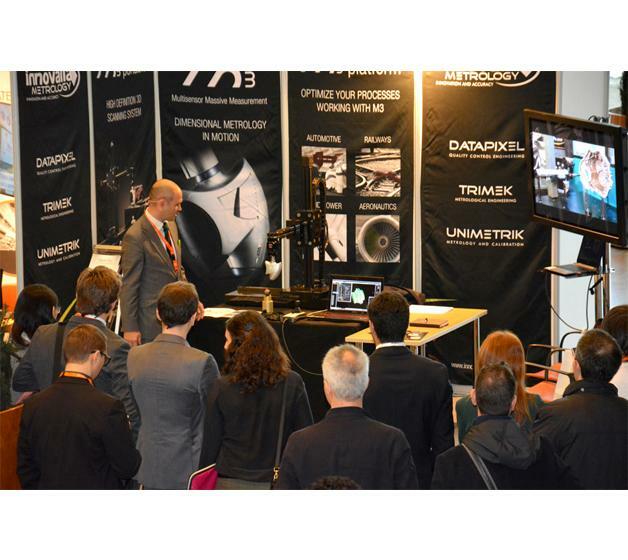 As well as being a unique event, Metromeet can also help expand your business networks and build relationships with potential new customers within the field of industrial dimensional metrology. In addition to this, the conference also aims to be recognized as a reference within the dimensional industrial metrology field. The International Technical Committee of Metromeet will value papers that deal specifically with real experiences, innovative methods and technological applications that apply directly to industry. The conference offers three alternatives for the speaker: Tutorials or two-hour sessions in which the speaker offers his perspective on technologies and tools, keynotes or master classes about 50 minutes, and finally 25 minute sessions focused on a specific Industrial Dimensional Metrology topics. The list from which a topics can be selected can be found below. Quality control, metrology solutions for industry, calibration and verification, additive Manufacturing, advances of micro- and nanometrology, future metrology tendencies and latest developments and solutions in the area of optical non-contact measurement and 3D digitalisation systems are some of the topics to be discussed in Metromeet. “As could be seen during the last three-day of the conferences, the participation of professionals from all fields of the industry has helped to make Metromeet a meeting point for speakers, sponsors and attendees”, explains de la Maza. For further information, please visit Metromeet website.